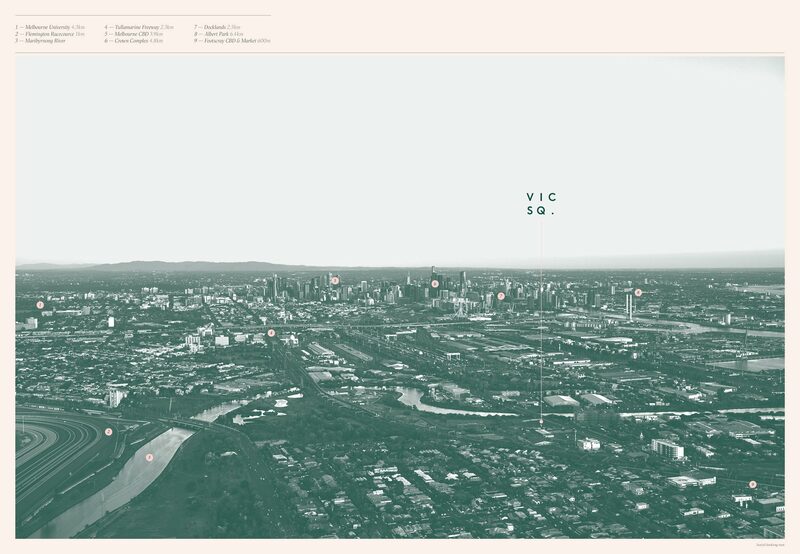 Cool calm and connected, Footscray has fast become one of Melbourne’s shining lights, with Victora Square in the centre of its beating heart. A stone’s throw from the CBD and the heart of the west, Footscray is buzzing with character, charm and cutting edge vibes. The rich narrative of this suburb has evolved from industrial powerhouse to waterside residential hub, boasting city views and a vibrantly cultured environment. Now with a thriving arts scene and new residential communities settling in, Victoria Square and its residents will make their mark in this dynamic district. From dawn to dark, Footscray is on the up-and-up, serving pizza and craft beer, cocktails and curries, fresh market shopping and speciality food. Whether you’re digging for records, having a night out or doing the weekly grocery run, Footscray’s the spot. 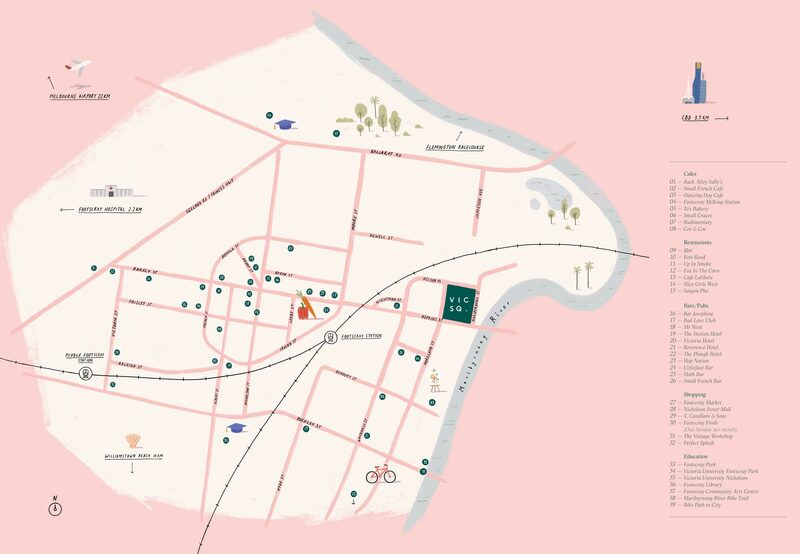 Nestled between the vibrant neighbourhoods of Kensington and Yarraville, and only 3.9km from the CBD, Footscray is one of the city’s new über-cool cultural hubs. A gateway to the west as well as the city centre, the fashionable suburbs of Williamstown, Seddon, and popular beaches are all close by.